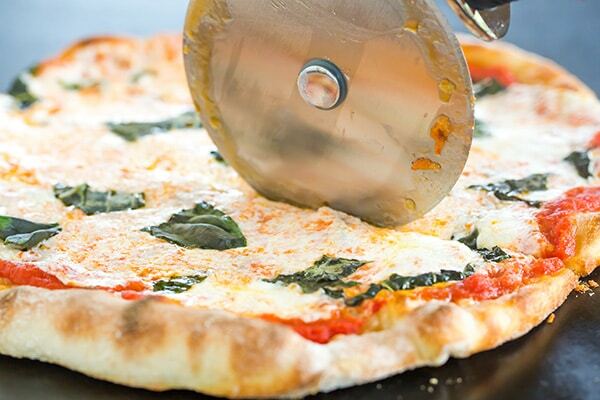 New York-style pizza is characterized by its thin crust and wide pizza slices. City dwellers usually grab a slice to go and fold it up to eat while they walk. It’s said that New York-style pizza is closest to the true Italian version of pizza; the crust is traditionally hand-tossed and topped with a layer of sauce, mozzarella cheese and toppings. 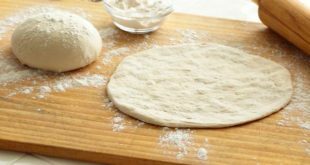 As opposed to New York-style pizza, Neapolitan pizza is not meant to be consumed on the go—in fact, this type of pizza is best served with a fork and knife. Neapolitan pizza, with origins in Naples, Italy, has an extremely thin crust that is baked at a high temperature, traditionally in a wood-fire oven, causing the sides of the crust to puff up and rise. Bake it for too long, and you’ll end up with charred edges. What you’re actually aiming for is a softer crust. 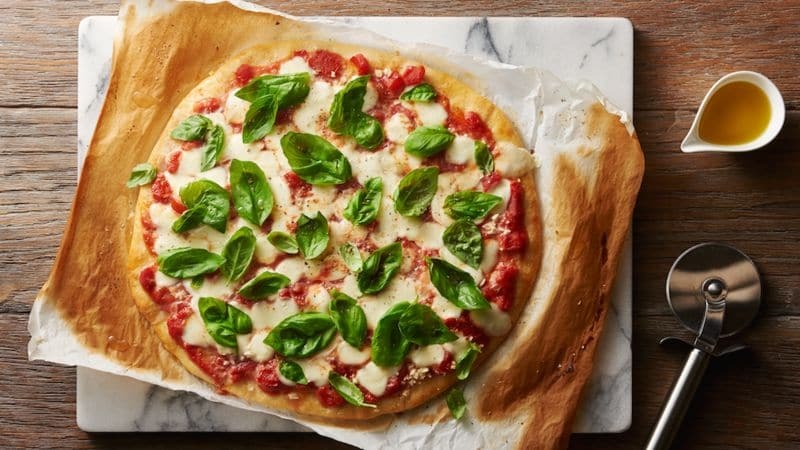 One of the most popular ways to top Neapolitan pizza is margherita style—with tomatoes, slices of mozzarella cheese and fresh basil leaves. Sicilian pizza gets its name, as you may have guessed, from its city of origin: Sicily, Italy. It’s traditionally a thick-crusted pizza served in a square shape, rather than a round. 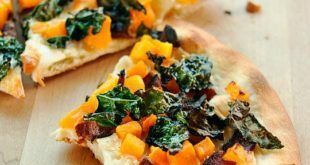 The true Italian version of this pizza is topped with ingredients like anchovies, herbs, onions, tomatoes and a variety of Italian cheeses; but it has evolved with its introduction to the United States. Order a Sicilian-style pizza in America, and you’ll be served a square or rectangle, thick-crusted pizza with a lot of sauce and mozzarella cheese. Chicago-style pizza, otherwise known as “deep-dish pizza” originated in the Windy City, though who can take credit for its invention is still unclear. A popular report is that Chicago’s Pizzeria Uno was the first to serve it, though which chef to attribute the recipe to is also disputed. Whoever invented it, all Chicagoans agree: deep-dish pizza is unique, delicious and New York’s biggest rival for “best pizza in America.” Chicago-style pizza is characterized by its doughy, thick crust. It’s often baked in a round pan, more similar to a cake pan than a traditional pizza pan. Toppings are then assembled in a reverse order of a regular pizza—a layer of cheese goes in first, then a layer of meat and/or veggies and finally a hefty amount of sauce. Since Chicago-style pizzas are so thick, they usually have a much longer bake time than other types of pizzas. Similar to Sicilian pizza, Detroit-style pizza is famously known for being baked in a square instead of a round, but there are a few key differences between the two. Detroit-style pizza has airier, lighter dough than its Sicilian descendent. 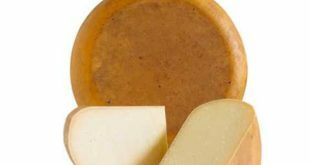 It typically forgoes mozzarella cheese and instead uses Wisconsin brick cheese that gets nice and crispy when baked on top of the dough, almost like a fried cheese. Toppings and sauce are then added at the end! Calzones, though technically pizza, don’t look like your average slice. 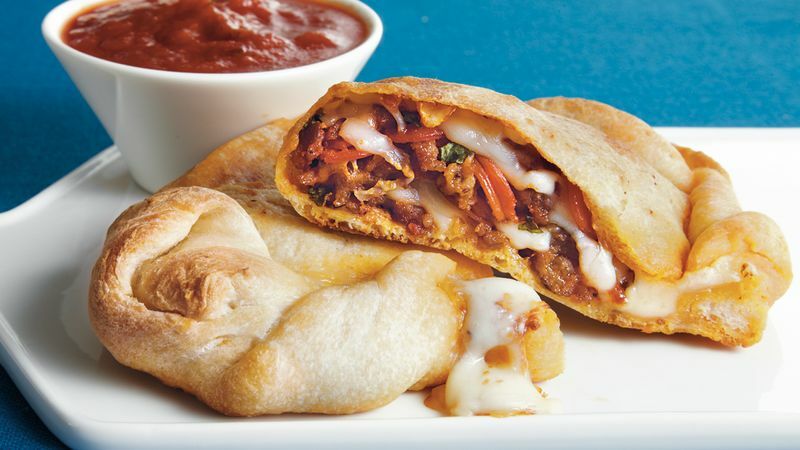 Calzones are folded pizzas, resembling dumplings or turnovers stuffed with cheesy pizza goodness. 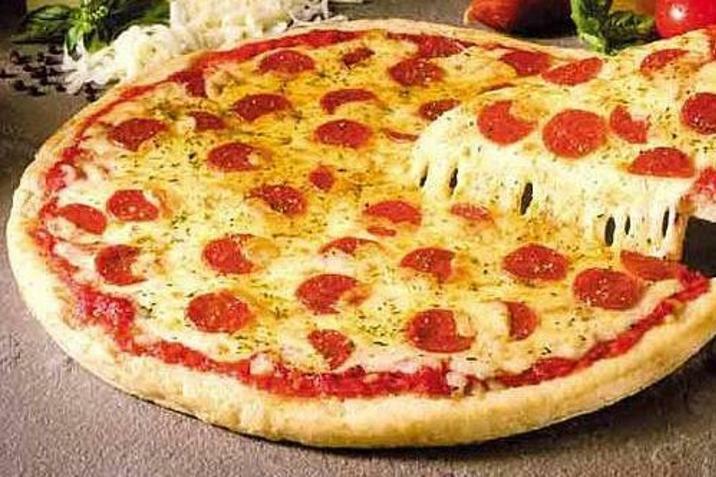 This is the Italian’s version of pizza to eat on the go, and it has become extremely popular in the United States as well. Though traditionally filled with tomato and cheese, many calzone variations are stuffed with meat and veggies, too, and are often seen served with extra marinara sauce. Next Which do you use Pizza Crust?